The EC said it takes a serious view of reports that the candidates had broken election rules and campaign ethics by misusing government assets and playing on racial and religious sensitivities during campaigning. In relation to the use of a government vehicle during campaigning, EC chairman Azhar Azizan Harun said he had held an urgent meeting with Malaysian Corruption Watch head Jais Abdul Karim on Sunday, urging the EC-appointed polls observer to provide information on the reported case to the Malaysian Anti-Corruption Commission (MACC). “The EC would like to remind all parties involved in campaigning to abide by all the rules and regulations and not commit any election offences, including using government assets to garner votes,” Azizan said in a statement. In connection with the alleged use of government machinery in the campaign, Bernama reported that Pahang PKR chief Fuziah Salleh had given a blogger 24 hours to apologise for linking her to the incident or face a lawsuit. In an article published on Sunday, the blogger had accused Fuziah, who is Deputy Minister in the Prime Minister’s Department, of using a vehicle belonging to the Raub District Forest Department. The by-election on Jan 26 is being held after the Election Court on Nov 30 last year nullified the victory of Barisan Nasional’s (BN) Datuk C Sivarraajh in the 14th general election due to vote-buying. The four-cornered contest involves M Manogaran (Pakatan Harapan), Ramli Mohd Nor (BN) as well as two Independent candidates — former lecturer at Institut Aminuddin Baki, Sallehudin Ab Talib, and farmer Wong Seng Yee. In Tanah Rata, District Police Chief DSP Ashari Abu Samah said 17 police reports had been lodged during the 10 days of the by-election campaign. He said the reports were in connection with the distribution of money, damaged tents, ballot papers which have been viralled on the social media, and an incident in Sungai Koyan, Kuala Lipis yesterday. “To date, only one investigation paper has been opened under Section 5(6)(b) of the Election Offences Act 1954 which is about the ballot papers which went viral on the social media,” he said at a press conference at the Cameron Highlands parliamentary by-election media centre. On the incident in Sungai Koyan, Ashari said the police were still investigating the issue after BN candidate Ramli lodged a police report. It was reported that a video showing Deputy Water, Land and Natural Resources Minister Tengku Zulpuri Shah Raja Puji, who is also DAP vice-president, going to the Umno Rompin premises in Pos Lenjang, Kuala Lipis with several people over the alleged use of a government vehicle for campaigning. The video also showed an altercation between BN machinery with a person wearing a shirt with the Pakatan logo and a vehicle with the logo of the Pahang State Forestry Department. Ashari said BN had also lodged a police report on the use of the vehicle for campaigning. On allegations of money hand-outs by Pakatan as seen in several photographs on the social media recently, he said the case had been handed over to the MACC. 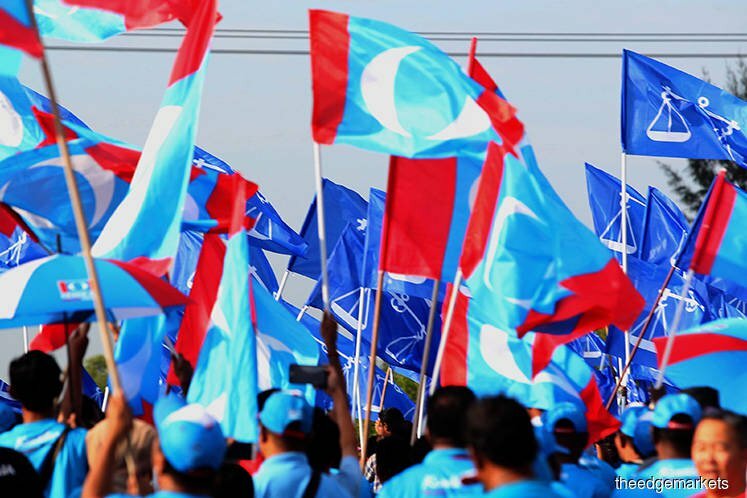 Ashari also said police had approved 41 permits for talks to be held during the campaign period, which include 25 permits applied by BN and 16 by Pakatan. On the early voting today, Ashari said 232 police officers and staff members will vote at the Brinchang police station information room for the Tanah Rata state assembly seat while 15 police officers and staff members will vote at the Sungai Koyan police station information room for the Jelai state assembly seat. In Ipoh, DAP vice-chairman M Kula Segaran said Pakatan needs to double its efforts to secure a win in the Cameron Highlands by-election. He said even though BN had put forward an Orang Asli candidate, Pakatan believed that it could win the by-election but it would be a tough fight. This article first appeared in The Edge Financial Daily, on Jan 22, 2019.